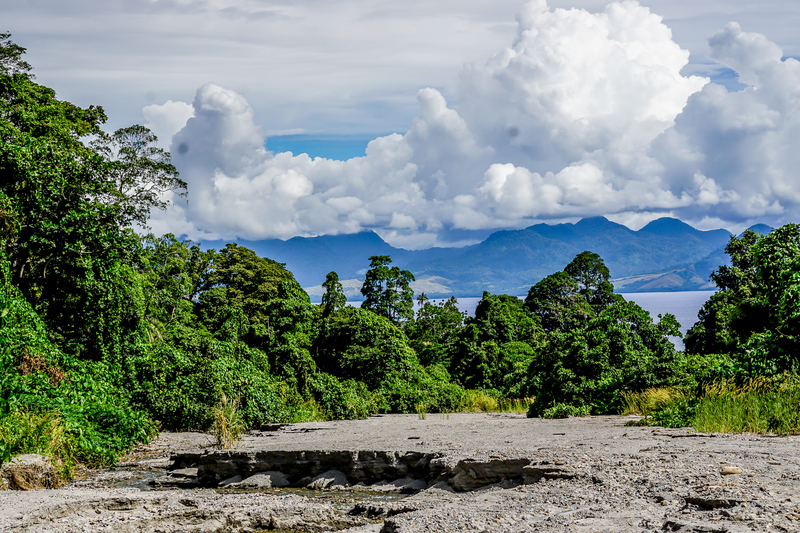 The Kio Kit is built specifically for regions with limited or no internet connectivity, places that are far from modern civilization, like large swathes of our country and the African continent. However, it is highly adaptable and can be used in all parts of the world. It eliminates the need to be constantly online to access a broad range of learning materials, is hardy and rugged and is easy to charge. With these advantages, one would think that teachers will eventually become obsolete. In discussions concerning digital literacy, this question invariably comes up, “Will The Kio Kit replace teachers?” No. 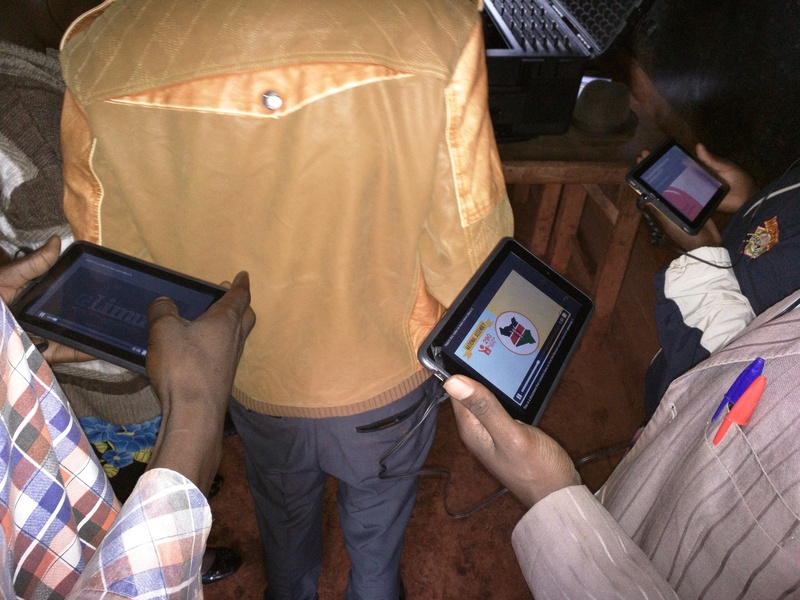 Digital literacy solutions work best to enrich, not replace, human-to-human experiences. They enable us to reduce teacher and student effort and help us help educators and students even faster. This task is a great responsibility, and the people behind these processes (ourselves and others) determine their success or failure. And let us not forget, whenever technology lets us down, we will always want a friendly human to pick us back up. In other words, the quality of a digital learning experience will never exceed the quality of the people building the solutions and working with them. 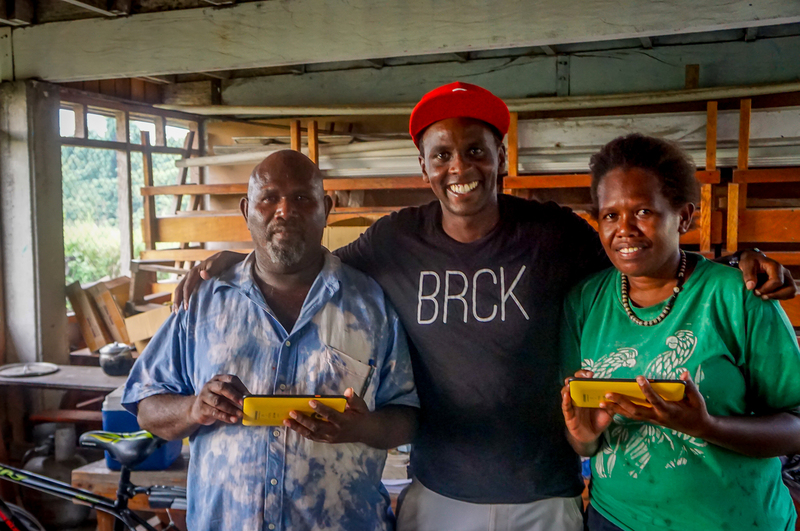 The BRCK team has grown up, lived and works here in Kenya, a place in the developing world, and the kind of place for which we build technologies. We are in a superb position to develop relevant solutions that affordably address education and connectivity challenges. 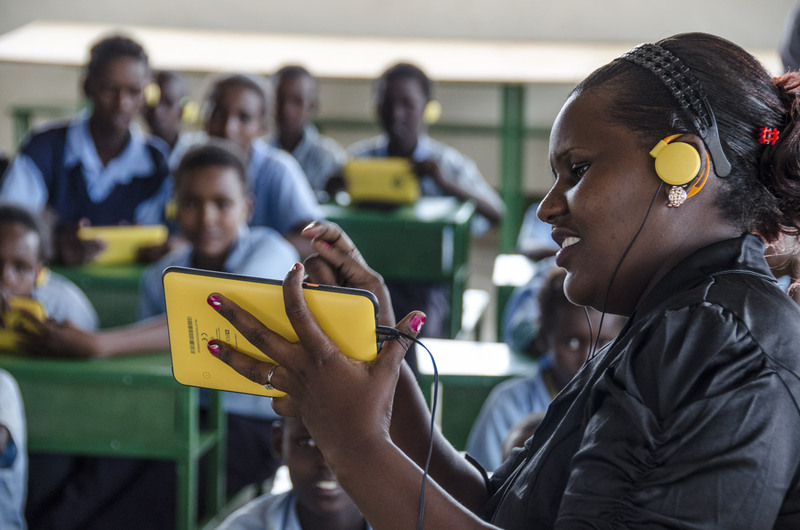 Our diverse set of skills and context-specific knowledge have enabled us to build the best device for turning an ordinary classroom into a digital classroom, The Kio Kit. 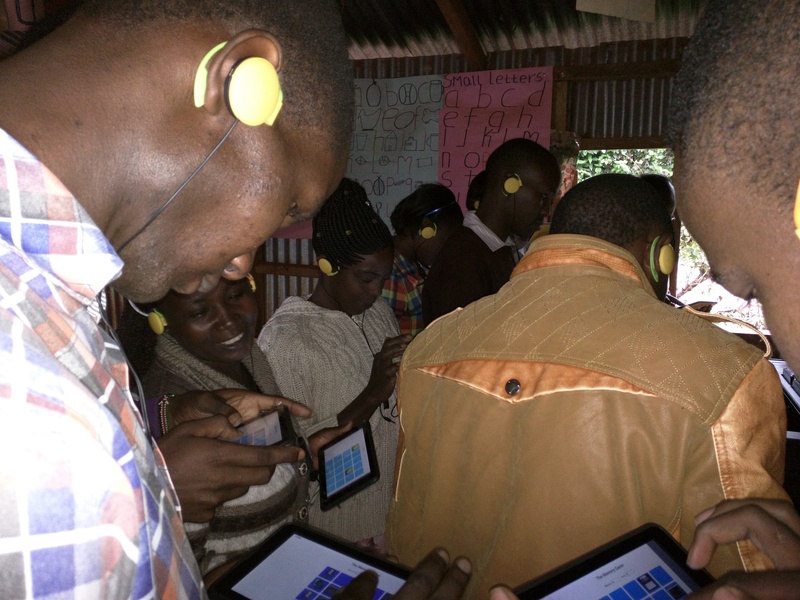 On a rainy Friday last week we went to Joyland Primary School in Gatundu to carry out teacher training for the Kio Kit. 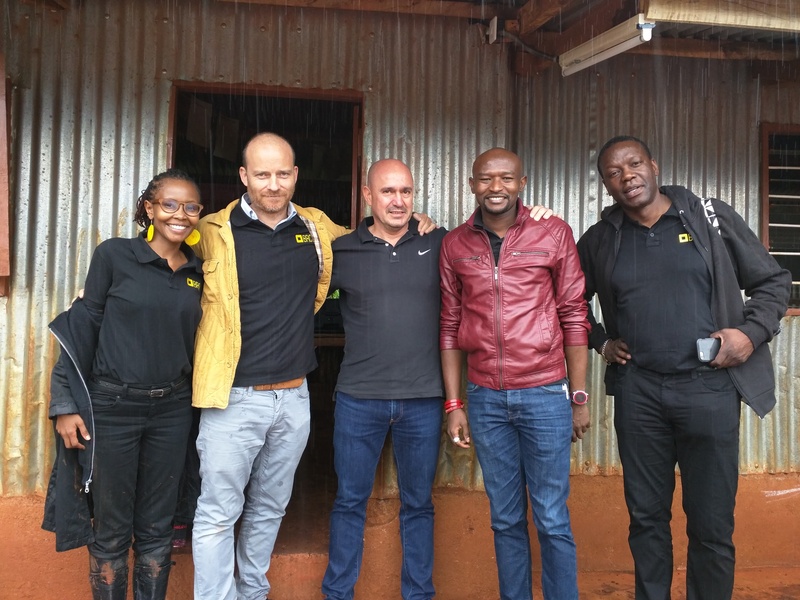 We went with Jeff Crystal of Voltaic Systems, Jamie Drummond (co-founder of ONE.org), Mwambu Wanendeya (ONE.org Africa Executive Director) and Keith Stewart (CTO of Thomson Reuters). 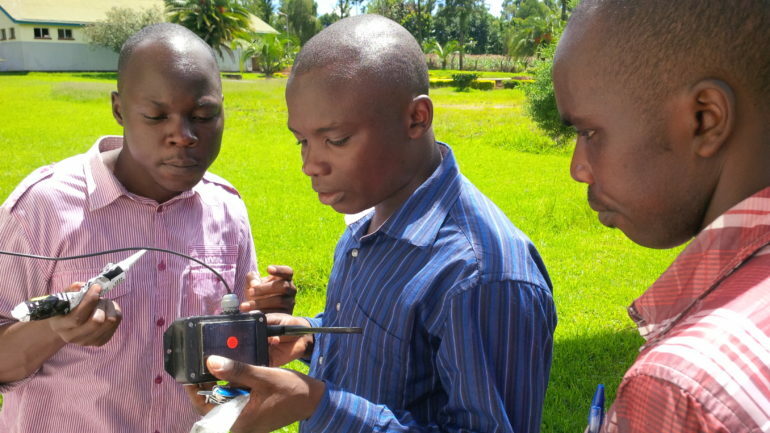 The Kio Kit empowers pupils and enables teachers to have an easier time with their jobs. Our approach is to introduce them to the Kit and then let them explore it on their own. The reception was encouraging. The teachers took to the Kit fast. Peer learning and collaborative learning are integral parts of our training. 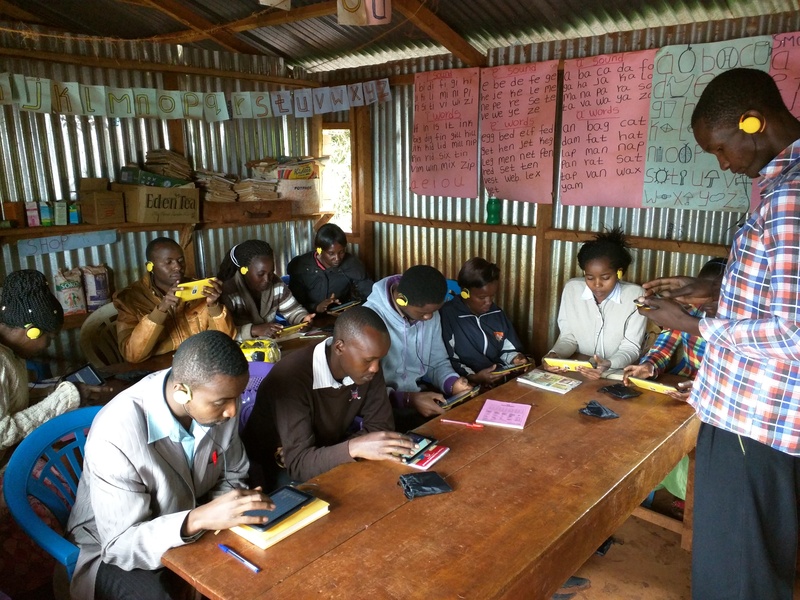 After we introduce the Kio Kit, we find teachers are more receptive to it when we give them the freedom to learn with other faculty and by learning from other teachers. 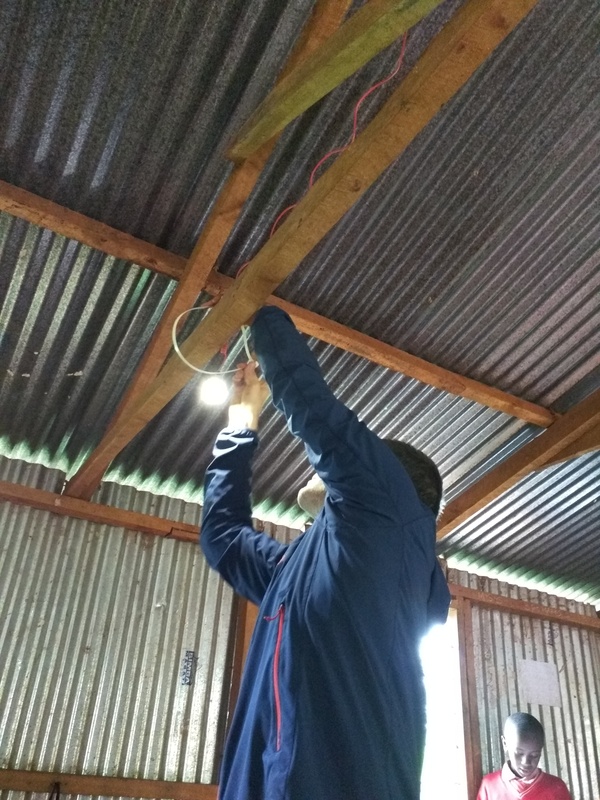 We also installed solar-powered lights for eight of the classrooms with Jeff. It seems like a small thing, but a well-lit classroom makes teaching and learning much more efficient. We took a lot of photographs, and they can best tell the story. The class where the training took place. Mark Kamau, our UX Lead, taking the teachers through the training. Teachers playing a memory game to help “flex their fingers” and minds. 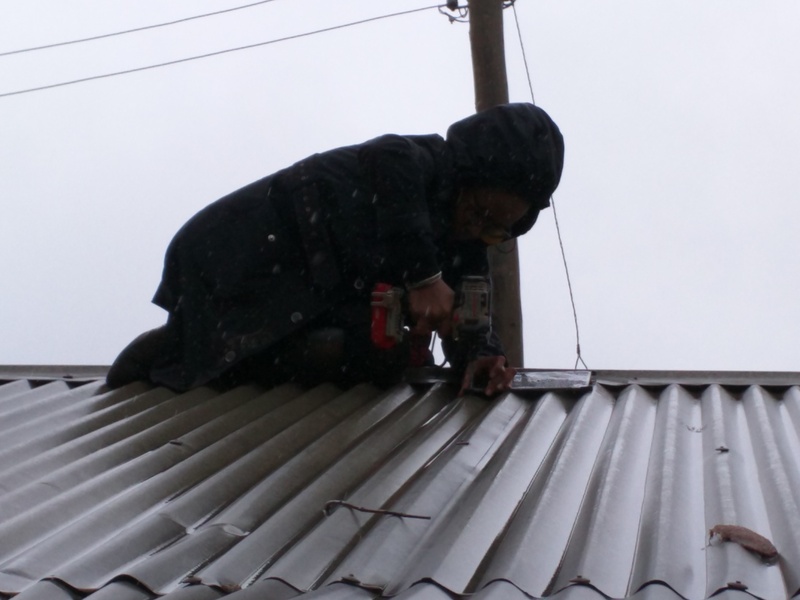 Juliana on the roof installing the solar panels. 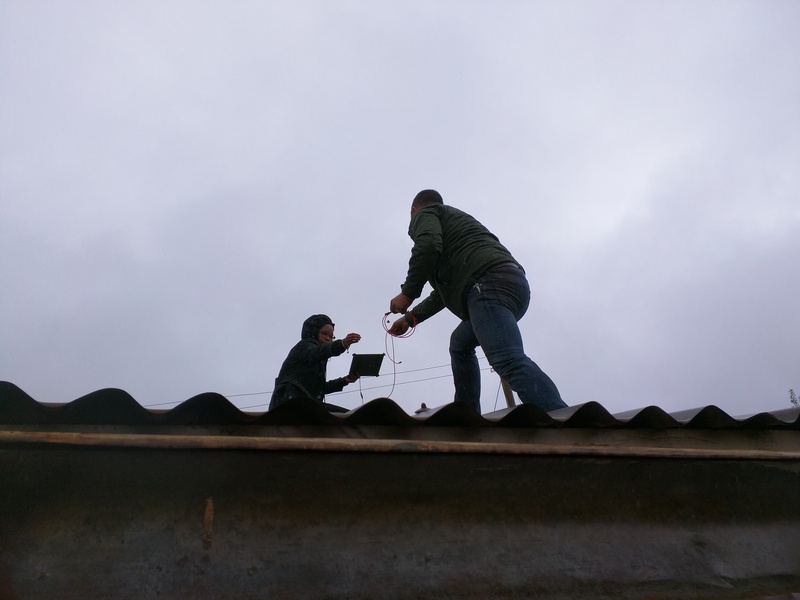 Juliana and Reid installing solar panels. 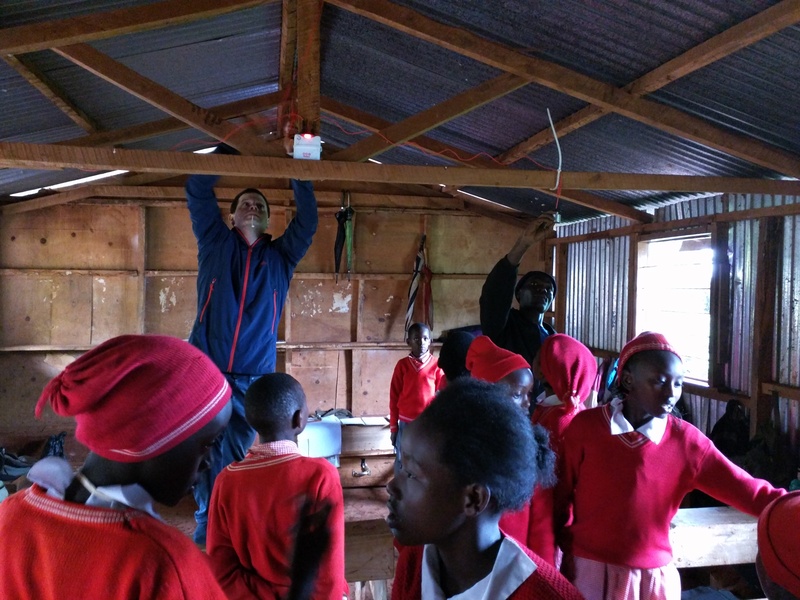 Jeff Crystal of Voltaic Systems installs lights in one of the classrooms. Juliana fastens the solar panels. 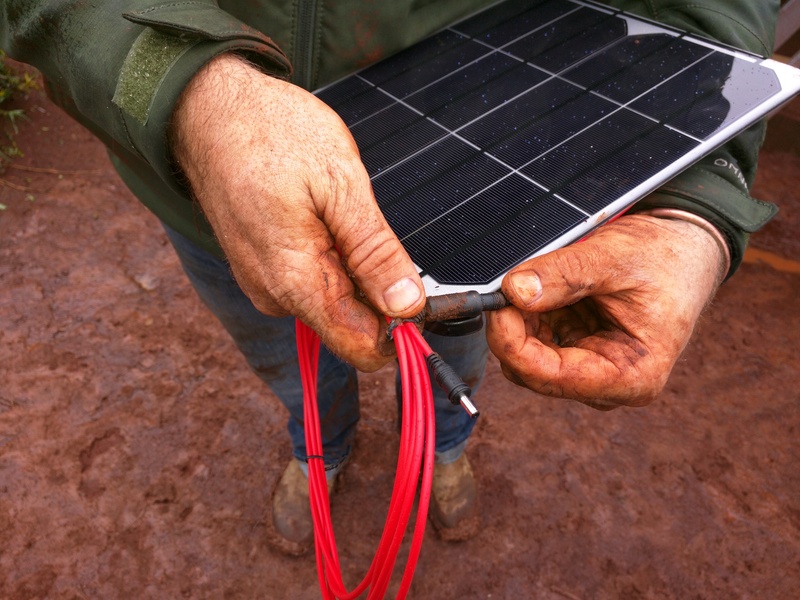 A sample of the solar panels and cables used. Mark and Keith having a chat with Jamie in the back. Teachers getting more acquainted with Kio tablets. One of the teachers heading a lesson. BRCK has been known for developing products for the edge of the network and very remote regions of the world. Lately our products have been pushing even what we as BRCKers consider the edge. 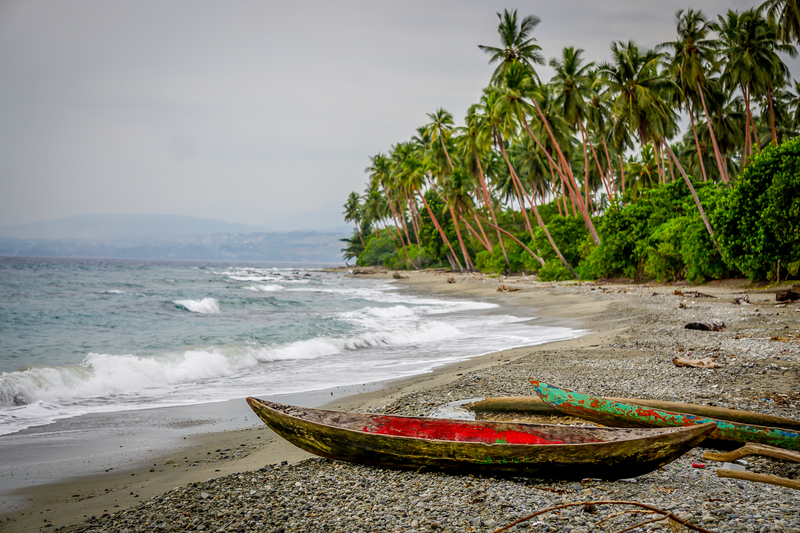 One of our biggest themes is the “if it works in Africa, it can work anywhere.” And that was never more apparent to us than when we recently found ourselves on a very small outboard motor boat hopping from one Solomon Island to another. The size of craft did not warrant being in this ocean infamously called the ironbottom sound. “Ironbottom Sound” is the name given by Allied sailors to Savo Sound, the stretch of water at the southern end of The Slot between Guadalcanal, Savo Island, and Florida Island of the Solomon Islands, because of the dozens of ships and planes that sank there during the Battle of Guadalcanal in 1942-43. 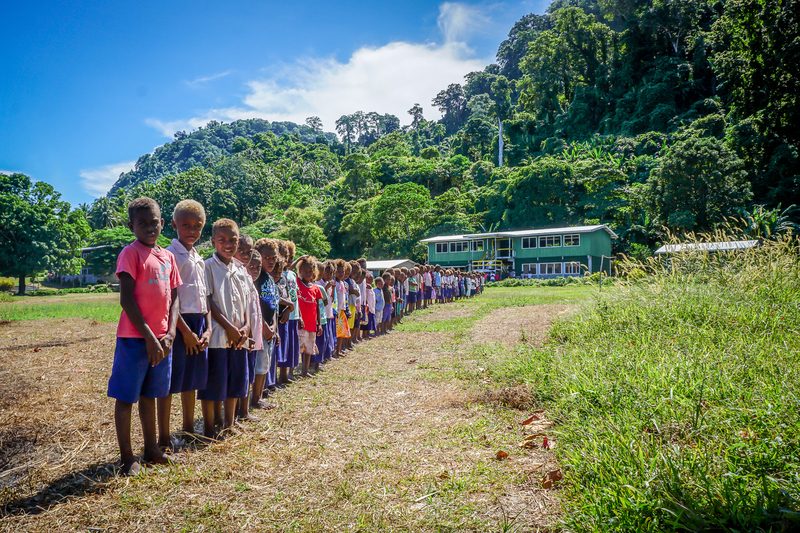 We were on our way there because the Savo Island School in 2016 is also the new home for a Kio Kit. 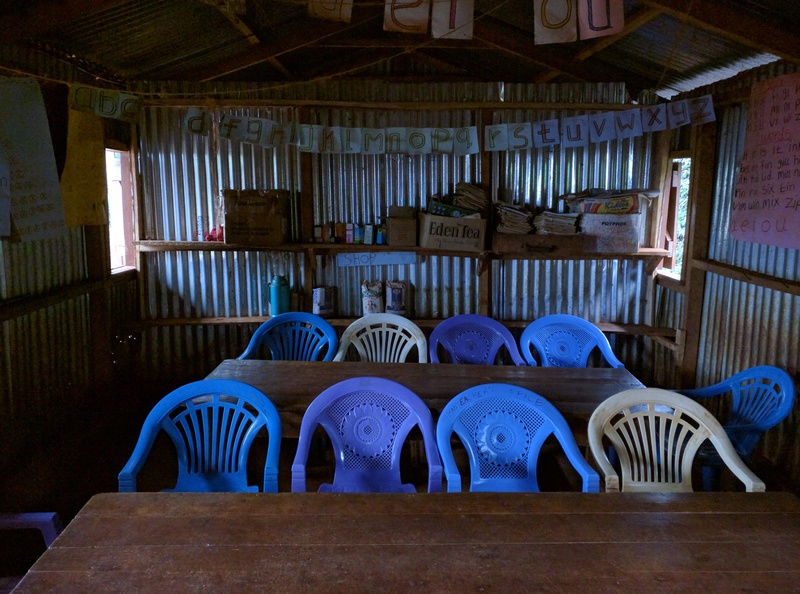 Our most remote school in Kenya has been in the Kalama Conservancy and in an interesting play on words, the school in Savo is named Kalaka school. 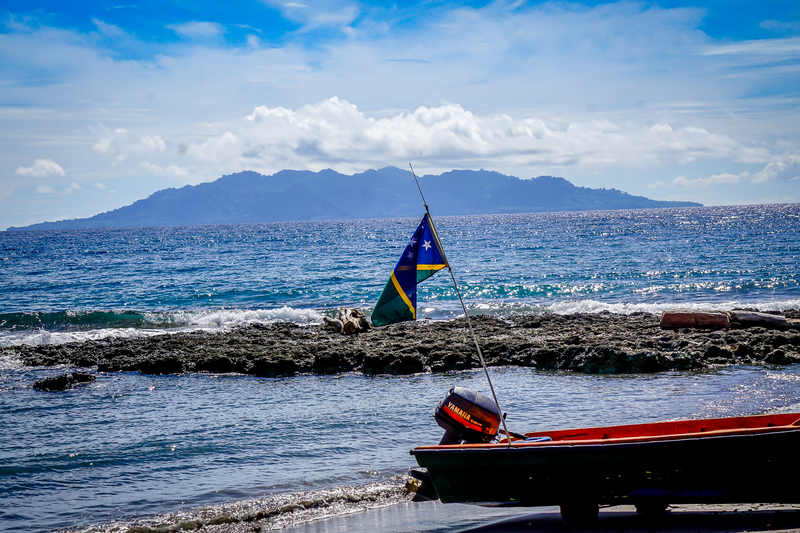 Upon safe passage through to the island, we were greeted by an amazing group of teachers and students alike. 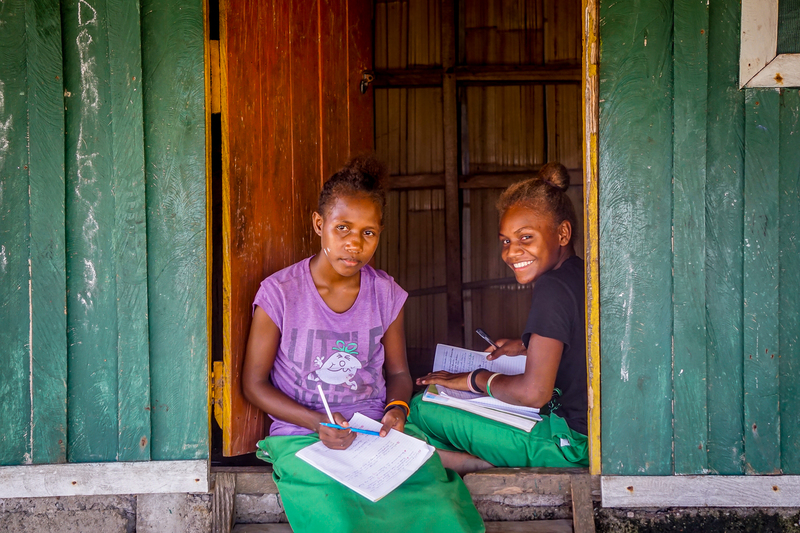 Savo island is beautiful, volcanic hot springs and rivers, palm farming and with a population of approximately 2000 people, the Kalaka school offers Primary, Secondary and Vocational training. 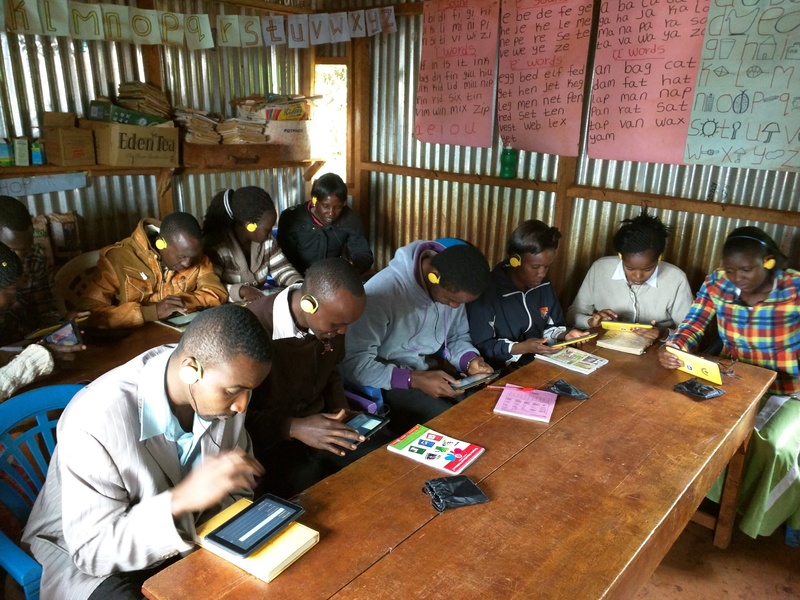 With no electricity and connectivity, getting access to research and technology for education through the Kio Kit becomes a major boost to the community and the future. As we did the teacher training, it was apparent that our visit to the areas our products are used informs us on how to make a world class product but also localized enough to bring value at the regional level. For example; Content is a major aspect of the Kio Kit and education in general. 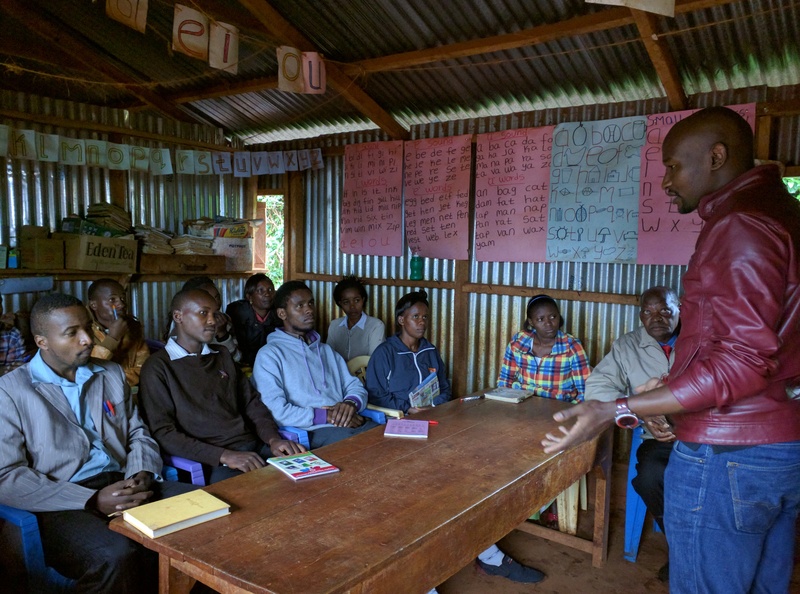 Part of our commitment in the Kio Kit is to help communities grow. That being said, the growing pains of one community can differ widely from another. 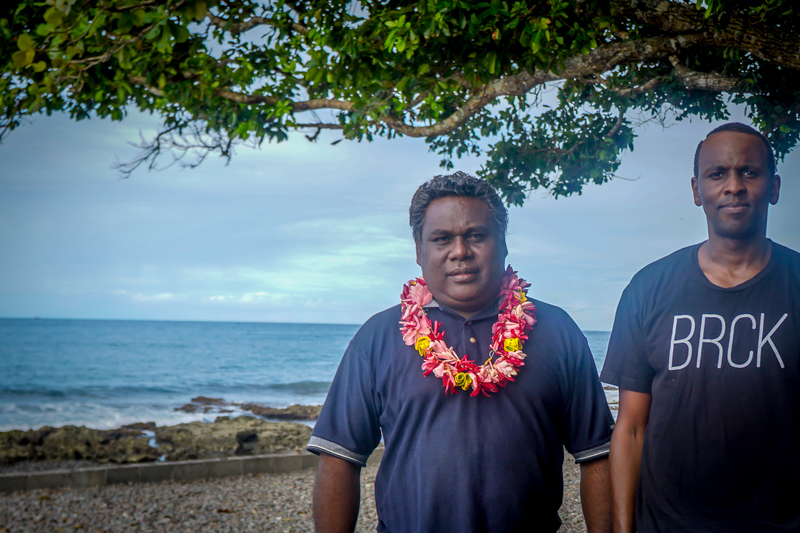 The Kio Kits in Africa have very good content on issues like cholera and sanitation, while the South Pacific Islanders were asking for more information on tsunami preparedness and diabetes awareness. 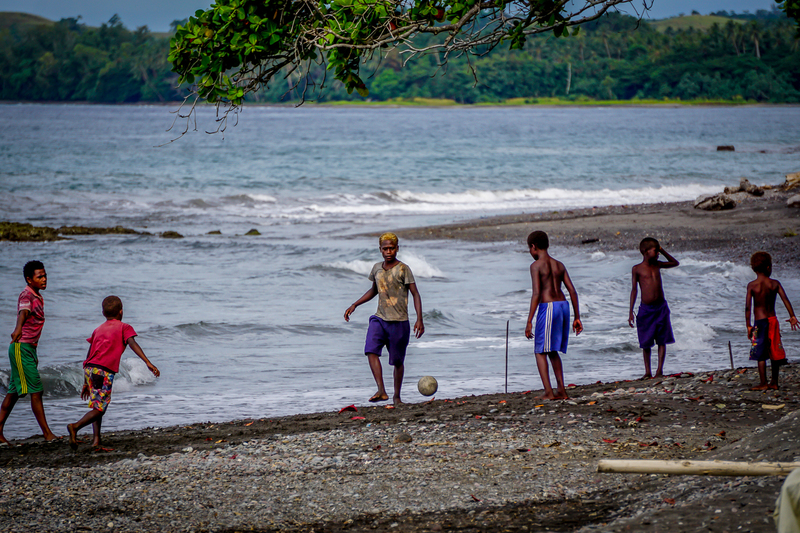 While in Kalama we build for dusty conditions, in Kalaka we have to consider humidity and sea salt. Galvanization is now a new discussion in our UX and engineering departments. Going local helps us address local issues. On this trip we also did visit a 2nd grade classroom in Canberra ACT region Australia, the contrast in classroom technology a mere 3 hours away from Savo island is mind boggling. But it is because of this that we are putting our best foot forward, in Africa, Asia, the Pacific, the Americas and beyond. Together we can narrow the gap in digital education, research and libraries around the world. 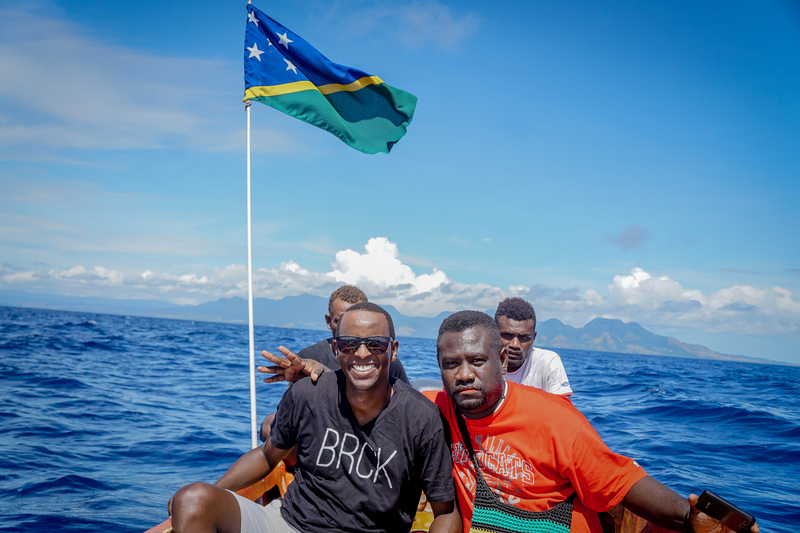 As we move forward, we also would like to recognize the amazing partnerships that we have on the ground and in the region without which this new frontier for BRCK would not be possible. 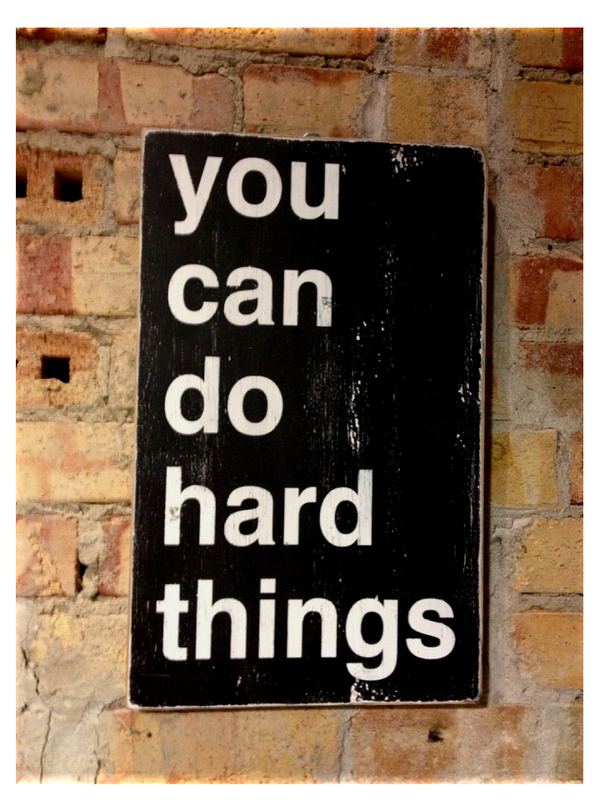 I mentioned BRCK’s “You can do hard things” slogan at the beginning of the Mt Kenya posts. And it has come up a number of times in other BRCK posts as well. I am going to do my best to relate some of the unique difficulties that we faced over the last few months on one of our projects. Our upcoming PicoBRCK is meant to be a generic platform for IOT devices. 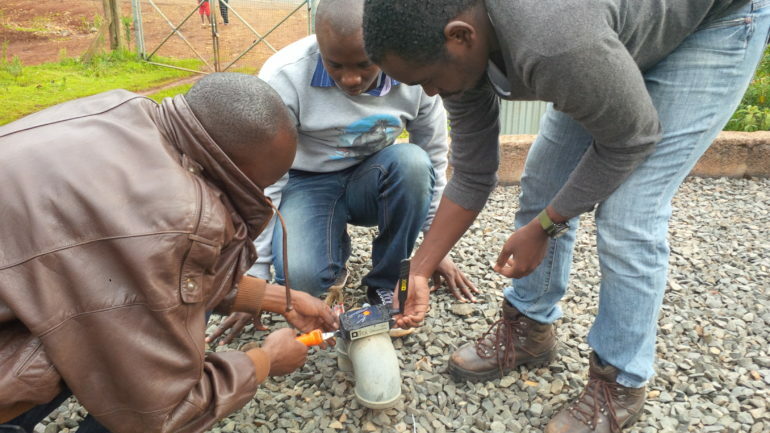 In our first application we are in the process of installing about 50 of these units across a water distribution network to measure water flow and transmit the data to the cloud. This will help the municipality get a better visibility of where their water is being used or lost. (In some cases up to 70% of the treated water is lost.) This post is a summary of the kinds of challenges we have faced in this project. Every engineering endeavor has it’s challenges including technical and logistical. 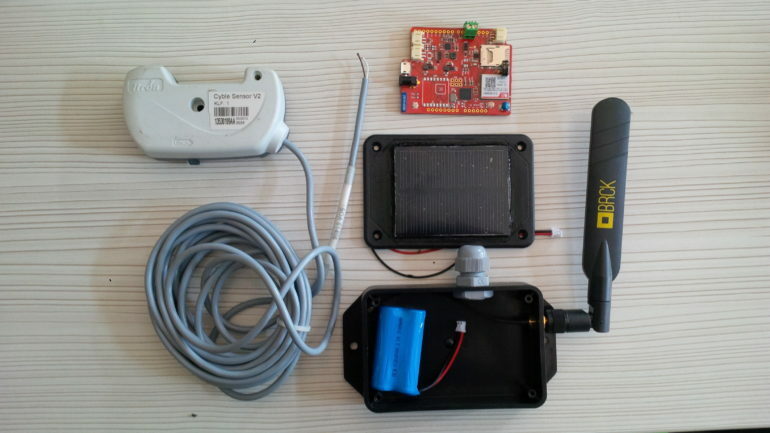 For example, the sensor we had to interface to for our water project application of the PicoBRCK was completely new to us and the datasheet was less than clear. So it took a bit of testing to understand how to read the electronic pulses coming from the sensor. This is a normal part of any hardware design process no matter where it is engineered. However these kinds of issues are inevitable and can often cause project timelines to slip in otherwise ideal development environments. The blog at bolt.io (blog.bolt.io) reveals a lot of these nuanced difficulties of doing hardware development in San Francisco. But in addition to these kinds of challenges we have some additional categories that really make life interesting. As we got ready to push out the PicoBRCK prototypes I realized that I had forgot to order one part for the solar charging circuit. A part that could have arrived at my desk the next day was completely unavailable locally and so we had to get creative to revamp the charging system for the prototypes. 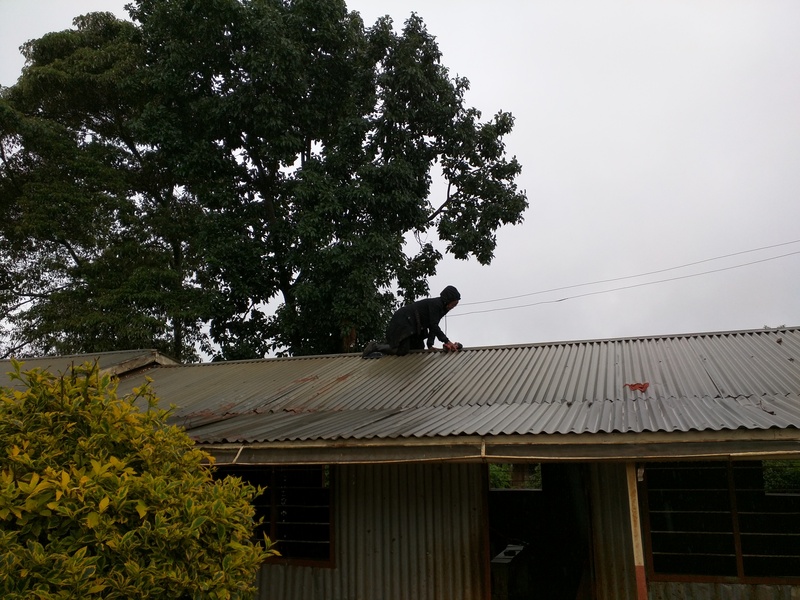 Also because very little is available locally and customs officials are not used to importing circuit boards, specialized batteries or electronic components, various parts of the PicoBRCK arrived after we were already back from Mt Kenya. And everything we have to import incurs a monetary cost and a schedule cost. The cold reality is that the resources we work with simply take twice as long and cost twice as much to get to our office. These supply chain issues and lack of local resources are the typical challenges that we usually mention when we have to summarize the unique challenges that we face. Preparing a PicoBRCK for deployment. However, there is a final, less well defined but oh so prevalent category. On a recent trip to install the PicoBRCK prototypes we encountered a number of interesting (read: HIGHLY frustrating) issues which demonstrate these types of challenges beautifully. First we found that some of our SD cards that we had purchased locally were failing. We realized that the quality control on parts coming here is not quite what it is in other places; it seems that knock-offs and quasi-legit parts abound. (I saw this in Tanzania with fake flash drives that reported as 32GB BUT when you tried to actually copy more than say 4GB everything fell apart.) Emerging markets are a dumping ground for poor quality components. 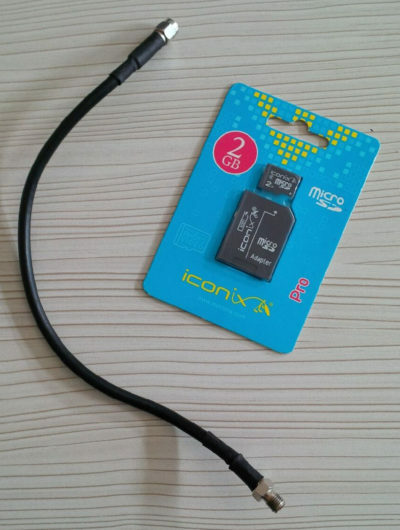 The RF cable and SD card that gave us so much trouble. Next we realized that some RF cables that were made for us locally were significantly degrading the cellular performance. It was not a straight work / not work situation and this issue alone took significant effort on the field to troubleshoot. Similarly we needed some parts (labels, gaskets) laser cut and there are actually a number of options around Nairobi. But our BRCK staff ended up teaching one laser shop on how to tune their laser and another place burnt their laser trying to cut our gasket. Even the most basic of elements in a system might be stretching the capability of the local manufacturing chain. 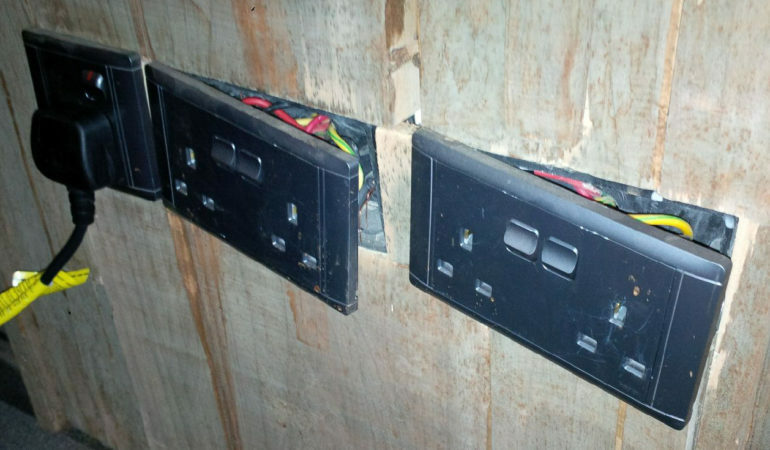 Then, after our initial installation, the units all started discharging indicating that they had been unplugged but the local technicians reported that everything was plugged in and turned on. I drove the 4 hours up the next day only to find that although everything was plugged in it was not actually getting power. The power outlet was of such poor quality the contacts were bent out of position. Now, three times over the last few weeks we have been flummoxed by the cellular back-haul failing. Sometimes the whole connection goes down, sometimes just the data portion of the connection fails and other times the behavior of the connection is different. Just like pulling my hair out to figure out why my circuit is not working, only to discover a bad connection at the power bar, a flaky cellular carrier is very difficult to identify when we are troubleshooting our own code. (And that is quite an understatement.) The code for making a connection via a modem is well documented and everyone agrees that it just works; but of course “everyone” is operating in another environment. As a result we have had to create some incredibly robust GPRS code that catches all these corner cases and accommodates them. (Huge kudo’s to Reg on this front!) The most basic infrastructure (in this case cellular and electrical outlets) inhibit the development of more sophisticated infrastructure. In the early days of BRCK we prided ourselves (and we still do!) at making do with whatever resources we have available. There are definitely situations where this is an incredibly valuable skill. But to develop world class solutions one needs the proper tools. A good friend of mine is luthier and insists on have exactly the right tool for every job he undertakes. Otherwise he will not be able to live up to his customers expectations. Some reading this post may, at this point, be feeling sorry for us or assuming that BRCK has no future under such adversity. However, there is a larger factor at work which propels us, and numerous other startups, to success. Our customers are demanding world class solutions. They know what is possible, they see the opportunity in their market and they know that BRCK has the expertise to overcome the unique challenges that crop up in emerging markets. So while the challenges are significant they are simply an indicator about how burgeoning the market is. Consider the power button. We only pay attention to it when at its push our devices do not come on, or when we hear a suspicious noise after pressing. The majority of the time, as long as our screen lights up or some machinery purrs, we forget about the power button. We just know where it is and what it is supposed to do when pushed. Most power buttons are ordinary and forgettable. They are dull-coloured, unremarkable in texture and seldom give any feedback. We rely on some other external action to determine whether the button has worked. At best what you get is a click, a snap or a gentle push back from the resistance of a spring or some such mechanism. Out first Kio Kit had a decent button. It was stainless steel, durable and had a ring of light that let you know what you were doing and what was happening. The LEDs would first light up for about three seconds to let you know the Kit was booting up. It would then pulse rapidly in yellow indicating the boot-up process was going on smoothly and ultimately settle into a gentle pulse, what we called a heartbeat. The button responded to a gentle push, was pleasant to the touch and did what any ON button does. Another simple push was required to switch off the Kit. The lights would blink rapidly for about six seconds then the Kit would go off. We thought we got it right until we received feedback. Feedback is an integral part of our work. How would we know our product works the way it was intended? Feedback one of the reasons we continually test and gather information, even if we will have to get stuck in the mud and cross rivers to do it. There were challenges we could not have foreseen in the office. The lights were visible only in brightly-lit places, the information relayed by the tiny LED lamps was ambiguous to new users, there was no way to tell how long to keep the button pressed to bring on the Kit, and the button itself was small. People with large fingers had trouble turning on the Kit. On placing one such finger on the power button, the full button, including the shielding was covered, necessitating use of such objects as pencils to push the button. A major issue brought about by these shortcomings was making users feel daft. A great product empowers a user. A mediocre one makes them feel weak, and no one likes to feel this way. The Kio Kit is a great product. Because of this, a new button was required, one that took care of a major pain point: it had to be big enough to accommodate all finger sizes while at the same time enabling the users to see the feedback lights. The button chosen is more prominent and allows users to see what is going on with the Kit when they press it. 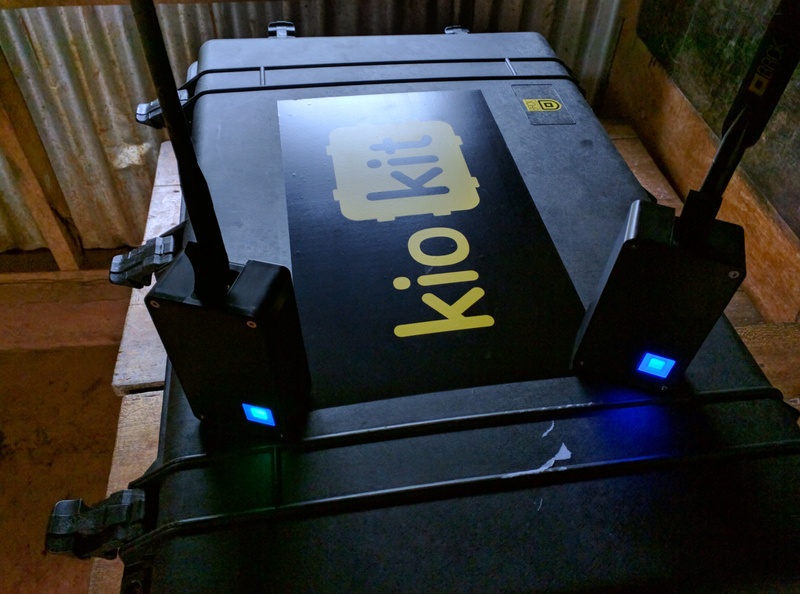 In this way, we saw a marked improvement in engagement with the Kio Kit. At first, it seems inconsequential. You just need the Kit or any other gadget ON. But, it is the little things that make a difference, like the oft-forgotten and neglected power button. Incorporating this kind of feedback is a great first step in tweaking the button to meet our users’ needs. Possible improvements on the button would be to let users know when there is no charge on the BRCK by lighting up red and having it change colour as the charge gets replenished and depleted, much like a BRCK. 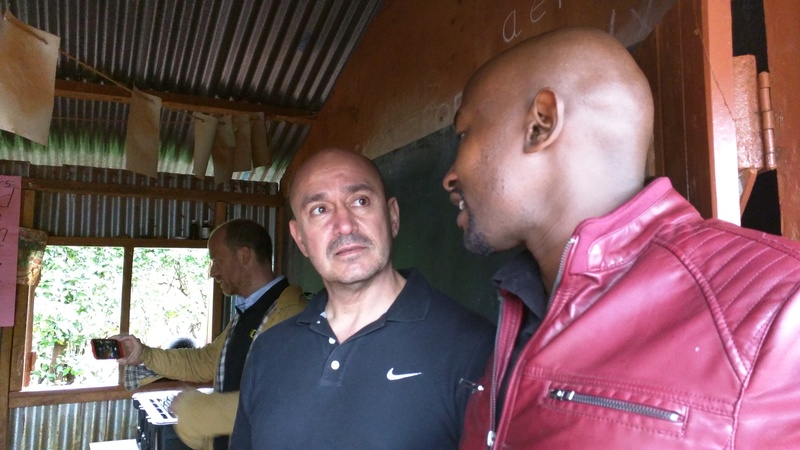 Last week on Friday we had the privilege of seeing first-hand the work of the Africa Cancer Foundation during a two-day screening at Meru Primary School. Despite the dreary weather, the turnout was excellent. Almost 350 men and 200 women had shown up by the time the day was over! The Africa Cancer Foundation is a non-profit organization that promotes cancer awareness and prevention by early detection, provides support to cancer patients and caregivers, and is involved in the development of guidelines and protocols for cancer diagnosis, treatment and healthcare provision. With the increase in the uptake of smartphones and the increasing coverage of mobile networks, the foundation has come up with a smartphone app for the collection and storage of the data collected during cancer screenings. A smartphone with the app installed is given to the volunteers. They then use these to gather and send information to a central cloud. The name of the patient, age, phone number and intelligence like drinking and smoking habits is collected and even images from, for example, cervical cancer screenings, can be stored and transmitted using the app. 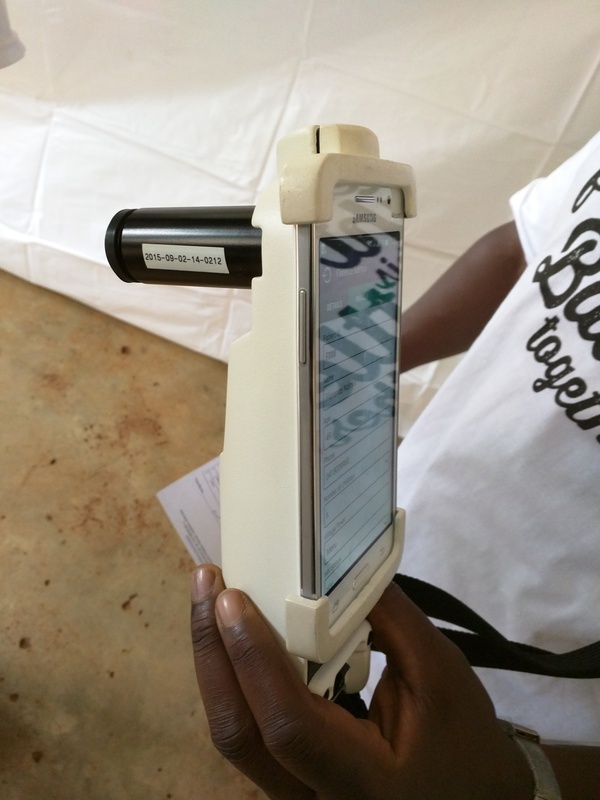 Mobile ODT (Offline Data Transfer) Device is a smartphone-enabled medical device that is used to detect Cervical Cancer. Initially, this process required each phone used to have a line and an individual service plan, which was expensive and inconvenient. That is where we stepped in. In four of the data collection points – the reception, breast cancer screening, cervical cancer screening and prostate cancer screening rooms. One BRCK’s connection is shared between four or five people, thus minimizing the overall costs of data. When you imagine internet connectivity in a people-driven context, you seldom remember that it can be used not just for social media or Education. It also makes it easier to store and retrieve health information, use that becomes more profound when dealing with a disease like cancer where early detection and prevention is a huge factor in minimizing incidences. 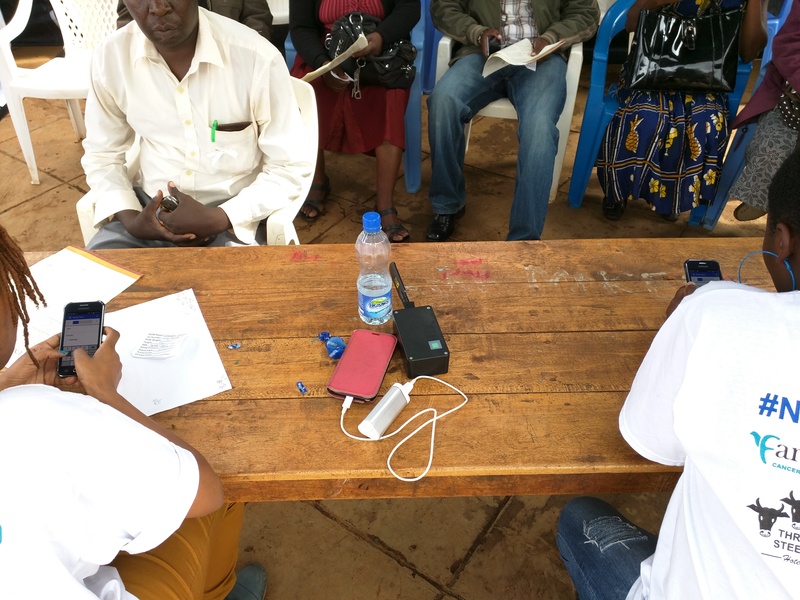 The BRCK is not just a device to keep you online but also one that can be used to do good, as we experienced first-hand during the cancer screening on Friday. 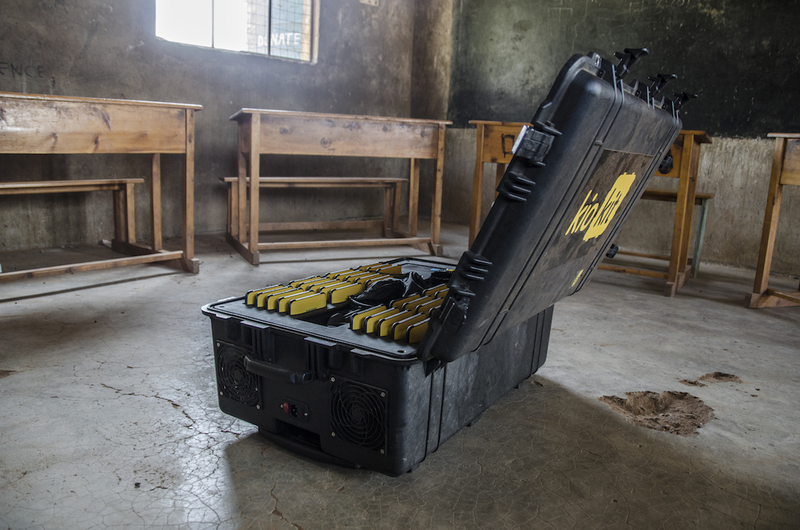 The ability to set-and-forget a BRCK allows you to focus on what is most important to you, and it allowed the volunteers to focus on their potentially life-saving jobs. An announcement is coming up soon about how we will continue doing this sort of work through BRCK.org. If you are interested in partnering with us, do contact us at [email protected] and also on Twitter via @brcknet. We’re continuing to grow at BRCK, and have a lot of things going on now, from our normal BRCK connectivity device, to education with our Kio Kit and have started doing some interesting sensor-connectivity as well. With all this going on, we thought it might be good to have a monthly “chat” with key people in the organization where you can ask questions and get some answers. Our idea right now is to target these conversations on Twitter around specific topics. This Twitter chat will be hosted every last Thursday of each month at 3:00pm EAT for an hour. You will pose questions with the hashtag #AskBRCK and our CEO will respond to them. Do you have that burning question that you’ve always wanted to ask us? 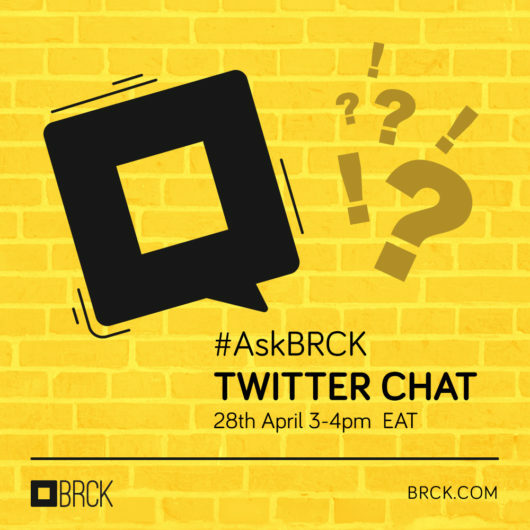 Use the hashtag #AskBRCK on the 28th of April from 3-4pm Kenya time and our CEO Erik Hersman will respond to it. There has been a lot of talk about “inclusive business” since the term was coined by the World Business Council for Sustainable Development in 2005. 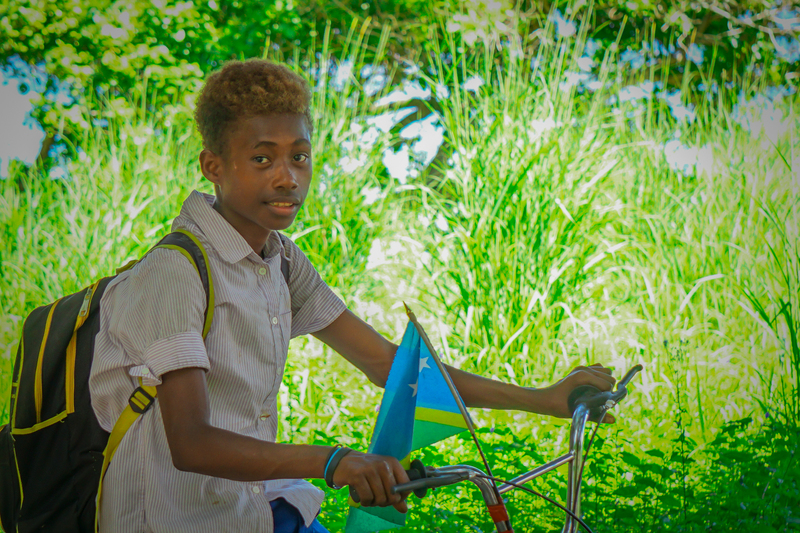 A business is said to be inclusive when it’s value chains purposefully “include” the needs and wants of low-income people and communities, and the company then implements on a business model built around more than just a profit-based bottom line. Those of us who have been part of building things like Ushahidi, iHub Nairobi, Gearbox, and BRCK are nothing if not inclusive business practitioners. However, the real issue comes down to who gets to decide the “who, when, and where” of what gets included. Our experience of “making in Africa for Africa” has shown us that local design is by its very nature inclusive. When we design here in Nairobi we are using “from periphery to centre thinking”, and the chances of misreading low-income markets in our product design is greatly reduced. Designers who live and work in Manhattan (no offence to the amazing designers of that great city) must consciously find ways to build processes that include the issues faced by the global poor. In Nairobi one has to try hard not to. When you design at the periphery – the whole point is that you by necessity “include” the needs and wants of low income people, not just because this is a BoP market in the Prahaladian sense of the term, but because you live and work in the same context as those you seek to serve by making great products and services that people want. At BRCK there is a design team with diverse experiences, including what it is like to live in low income areas and schools. These experiences and context inform the design process and iterative improvements to the products and services provided by the various initiatives. Forward thinking companies like Intel have been pursuing business models that benefit from local learning. 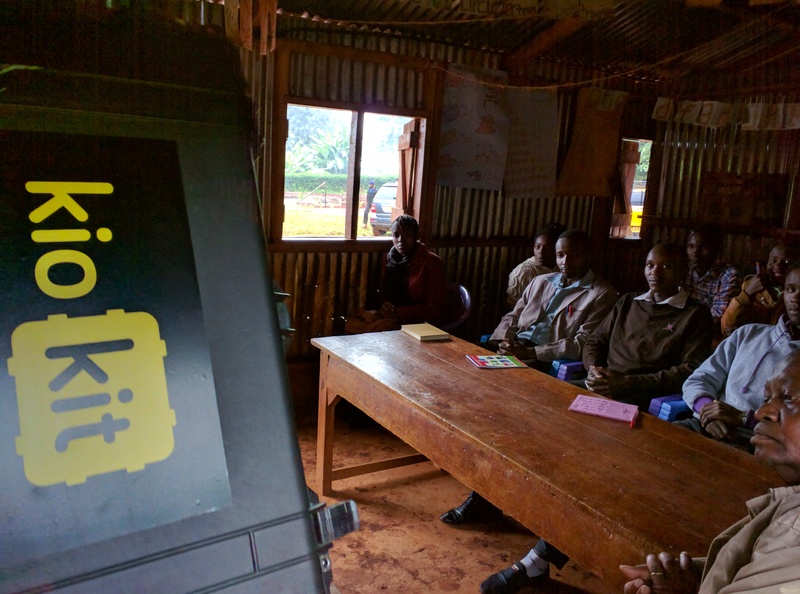 Intel took the BRCK hardware platform known as the Kio Kit and combined it with their innovative software and content, to produce a customised Kio Kit designed specifically for women and youth empowerment projects in Kenya; which are a part of a larger initiative from Intel Corporation to tackle the digital divide. This is what inclusive business is about on the ground. 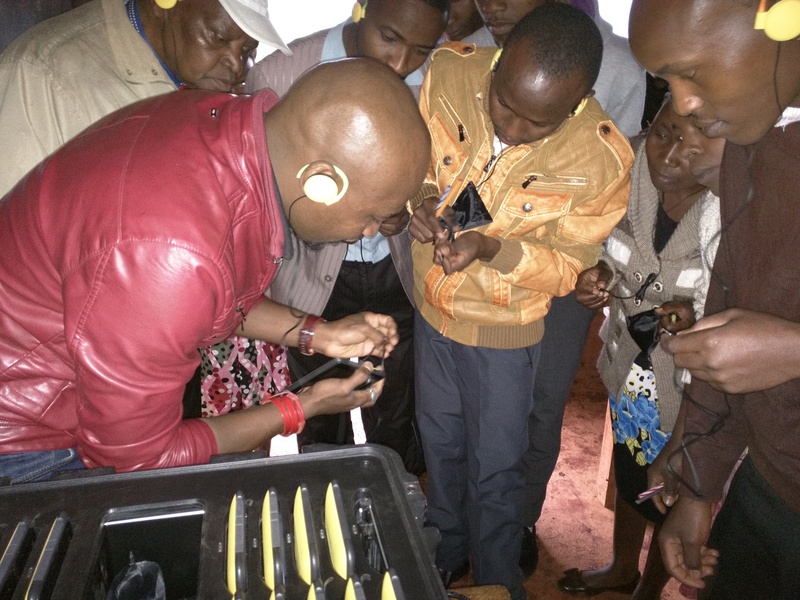 From this partnership with Intel, we are finding that inclusive business goes hand in hand with appropriate technology and design at the periphery. *Post by Juliana Rotich & Richard Klopp of BRCK.org, an initiative to deploy reliable technology to the edges of society. Juliana will be at Skoll World Forum next week discussing how new developments in tech can accelerate change. Do connect with her there or you can reach out to juliana at BRCK dot org to discuss more on how to partner for deploying tech to the edges of society.